First off, welcome to the University of Puget Sound! We’re glad to have you. I hope you had an awesome orientation and a great first week of class. You might be feeling a bit overwhelmed, homesick, nervous – all normal! Hopefully, you’re excited, too. Now I’m sure you’ve gotten a lot of advice in the past few weeks, days, and probably even hours. But here’s some more: six ways to boost your success in your first semester of college. You might have heard some of these points before, but that probably means that it’s good advice! If you’re reading this, you’re already on the right track! Reading your emails is one of the best ways to stay up to date with your professors and learn about campus events (sign up for clubs you’re interested in during LogJam or on the ASUPS website – they’ll keep you informed!) If you’re reading the library’s blog, Collins Unbound, – even better! Actively engaging in campus happenings will help you feel more connected and you’ll get the full Puget Sound experience. Use a planner. ASUPS hands them out for free so there’s really no excuse for not having one. Some of you are probably thinking “I can totally keep track of my assignments in my head; I don’t want to waste all that time writing everything down.” BUT eventually you will forget about something – maybe it will be a meeting you scheduled with your professor three weeks ago, or a homework reading assignment your professor just added that isn’t posted on Moodle. Part of being successful in college and as an adult is being organized and punctual, so start practicing now! Read your class syllabi! I know your professor probably already went through some of it in class with you, but looking through it again and writing down important dates (quizzes, exams, paper due dates) in your planner will really help you out later this semester. Go to your professors’ office hours, even if it’s just to introduce yourself. In the end, your professors are the best academic resource you have. Build a good relationship with them now so you feel more comfortable asking for help later in the semester. Learn about some of the schools resources: the library, CES (Career and Employment Services), CHWS (Counseling, Health and Wellness Services), and the CWLT (Center for Writing, Learning, and Teaching). Learning what these resources have to offer before you need them will greatly reduce stress later on. Last but not least: get off campus! Go hike a trail at Mt. Rainier while the weather is still nice, walk down to the farmer’s market on Proctor this Saturday, go study at one of the many coffee shops nearby, or join Habitat for Humanity and help them build a house. Washington has so much to offer, and I promise you won’t regret exploring it. Remember: there are so many people on campus who want to help you achieve all your hopes and dreams – let us! 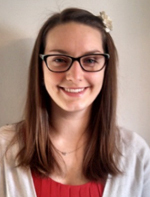 Liz Roepke ’15 is a geology major and the library’s first-ever Peer Research Advisor.